Apparently, being the Official Automotive Marketing partner of the Sports Illustrated Swimsuit property was just the excuse Lexus needed to get in touch with swimsuit model Tori Praver. And we can hardly blame them. But what could Praver's statuesque body and perfectly feminine features have to do with cars, you ask? That's a very good question, and it's one we're sure the Lexus marketing team spent hours considering. The answer, interestingly enough, is all in the curves. Following up on the video Lexus brought us showing two racers drifting a 2013 Lexus GS F Sport around a makeshift track drawn around the gigantor-size body of Ms. Praver, the luxury wing of the Toyota conglomerate has delivered a video game of similar intent for Apple's ever-popular range of iDevices. The TORI 500 racing app allows players to pilot GS sedans around digitized 3D renderings of Praver's body. Sounds... curvy. Check out the official press release after the break, where we've also reposted the video of Praver and the (real-life) racing drivers. As the Official Automotive Marketing partner of the Sports Illustrated Swimsuit property, Lexus has created a multi-faceted campaign called TORI 500. The campaign includes a racing game app that brings to life an actual racetrack the automaker created in the shape of Sports Illustrated Swimsuit model Tori Praver's body. TORRANCE, Calif. (Feb. 16, 2012)-What do you get when you cross a Sports Illustrated Swimsuit model with a hot new sports car? One cool app. Lexus and Sports Illustrated Swimsuit have fans revving their engines with the release of Lexus' new TORI 500 racing app, available at Lexus.com/tori500 and iTunes. The app brings to life an actual racetrack the automaker created in the shape of Sports Illustrated Swimsuit model Tori Praver's body. 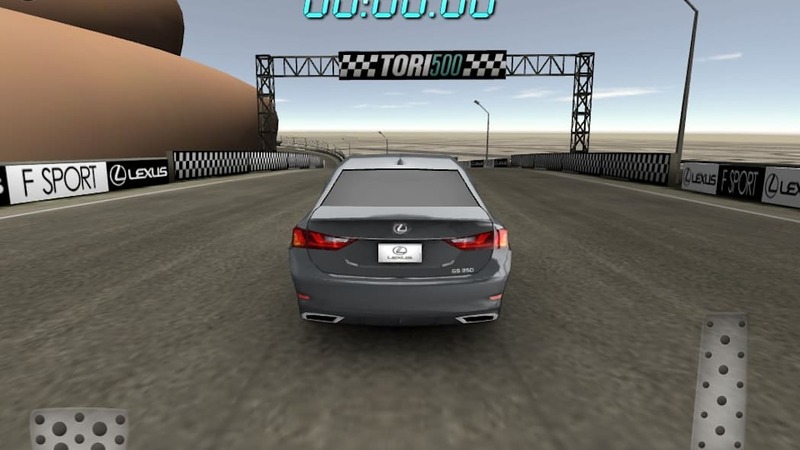 Players of the TORI 500 game get to see what it's like to race the all-new 2013 Lexus GS sport sedan around a larger-than-life, 3-D image of the supermodel. The game is part of a multi-faceted print and online campaign supporting Lexus' role as the Official Automotive Marketing Partner of SI Swimsuit and launch week. The Lexus team began by photographing Tori-being sure to capitalize on her curves-in poses that mimicked the angles and curvature of a true racetrack. The images of Praver were then photomapped and used to design the racetrack with the digitized version providing the game environment for the iOS application. From there, a live 1-to-1200 inch scale track was created and two of the world's best professional drivers, racecar driver Scott Pruett and stunt driver Greg Tracy, competed to post the best time and win a victory lap with Tori. A behind-the-scenes video of both the photo shoot and the race is available at Lexus.com/tori500. Print and Online Components- Executions include a four-page spread in the Sports Illustrated Swimsuit issue and custom tablet integrations featured on iPad, Samsung Galaxy, Xoom and Nook. Launch Week Events- Lexus participation in the marquee New York launch event and SI's two Las Vegas events, SI Swimsuit On Location and Club SI Swimsuit. Additionally, the automaker is the exclusive presenting sponsor of the first-ever, two-day Beauties & Beats Music Festival, happening at The Cosmopolitan of Las Vegas, Feb. 15 -16.